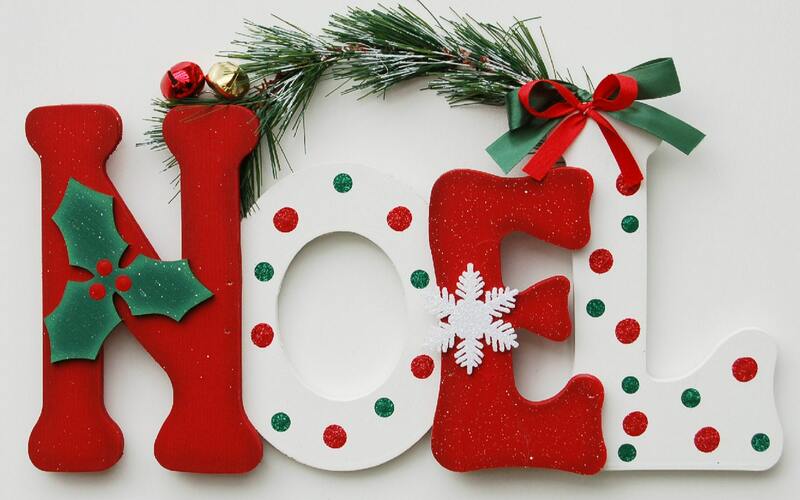 NOEL sign is made from wood and painted with exterior paint. Holly leaf and snowflake are separate pieces which are attached to this adorable Christmas decoration. Dots are glittered to add a shimmering touch.